It’s finally autumn, the time of year when your activities may include making yourself a cup of tea, getting cozy in your favorite blanket, and watching raindrops drizzle down your window. But have you ever felt as though the cooler weather has a tenacious hold on your mood? Do you ever notice your energy level being eerily dependent on the amount of sunlight that hits your face when you open your blinds? If so, you might be suffering from seasonal affective disorder, aptly known as SAD. 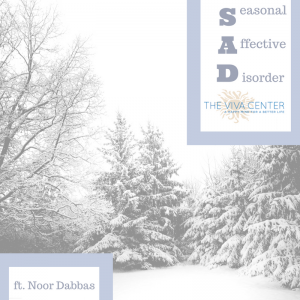 The National Institute of Mental Health (NIMH) defines SAD as “a type of depression that comes and goes with the seasons, typically starting in the late fall and early winter and going away during the spring and summer.” As NIMH mentions, SAD is typically associated with the colder months of the year, but in rare cases, individuals might experience “Summer Pattern” SAD during the spring and summer. Although it’s normal to be less than excited about cold weather, SAD goes above and beyond simply feeling down. As Dr. Norman Rosenthal, a former NIMH researcher and Georgetown professor of Clinical Psychiatry, notes, SAD’s symptoms typically coincide with an individual’s exposure to “environmental light” (sunlight). Researchers believe that the wintertime decrease in environmental light causes changes in our circadian rhythms, leading to an overproduction of the sleep hormone melatonin. 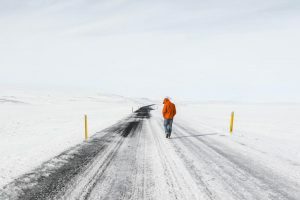 This change in our circadian rhythms may be an evolutionary holdover from our ancestors, who needed to conserve energy and increase food consumption to survive in the winter. Yet because this holdover is no longer necessary for survival, its contemporary manifestations can have negative consequences. In terms of its symptoms, SAD often looks like a typical case of Major Depressive Disorder, causing hopelessness, low energy, and thoughts of death. However, Winter Pattern SAD symptoms also include a few unique symptoms, such as a noted “craving for carbohydrates” and “hypersomnia” (excessive sleepiness). These symptoms align with the theory posited above that SAD is related to our old need to conserve energy during winter. 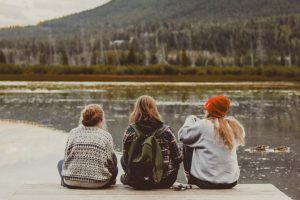 Luckily, there are plenty of interventions designed to alleviate the negative symptoms associated with SAD, including the tried and true methods of psychotherapy and prescription medication. Because of SAD’s association with light exposure, interventions targeting light exposure have also become popular options. One popular form of treatment is called “light box therapy,” which involves “sitting in front of a light box first thing in the morning [sic] on a daily basis from the early fall until spring.” Light box therapy can be performed from home—ordering a light box is as simple as searching your favorite online retailer. Since SAD is a form of Major Depressive Disorder (MDD), many people seek treatments similar to those commonly used for MDD or dysthymia, including brain-based therapies like Neurofeedback. As is noted in a July 2014 blog post with Melanie Shapiro, LICSW, “Neurofeedback is a process in which we observe the brain and identify its current functioning.” Electrode sensors are placed (painlessly) on the scalp, where they measure brain activity. A computer reads this activity, watching for signs of neurological dysregulation. Once any unhealthy behaviors are measured, a neurofeedback clinician will work with their client to train the brain to produce healthier patterns by offering sensory rewards (bright colors, pleasing sounds) whenever desirable brain behavior is observed. In other words, it is both a form of problem detection and positive reinforcement for healthier behavior. If you feel as though the cold winter days are taking more of a toll on you than they you’d expect, it’s worth doing a little research into SAD. If you have any questions about SAD or neurofeedback, feel free to contact any of our clinicians via info@vivapartnership.com. We hope this seasonal change is a welcome one. Noor Dabbas is a senior at George Washington University who double-majors in Psychology and English Literature. She comes from Amman, Jordan, home of the world’s angriest drivers and best falafel joints. Her passion is writing, and she hopes to one day pursue an MFA in Screenwriting and bring more visibility to mental health issues on TV.